The idea of combining social media and research at first might be at odds with one another, but they actually complement one another. Research involves the production, use and consumption of knowledge. Before social, scientists and researchers disseminated information via conferences, journals, peer reviews and publication. What brings all of these events together is collaboration. This is where the true benefits of social become apparent. You probably already have a system in place to find journals and articles that will suit your research. This can include using information portals, attending meetings and even focusing on certain peer-reviewed journals. While still useful, this takes time and can also lead to information overload. 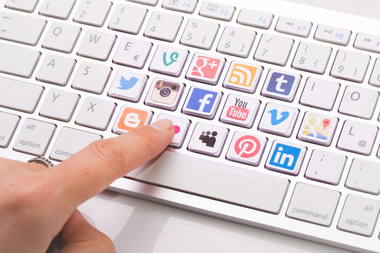 Social media can help you find more relevant information and sift through the noise. Following researchers within your discipline can help you find articles and journals that may be particularly valuable to you. On the flip side, you still need to verify the sources you find online. Anyone can publish an article or post on the internet, so it's more important than ever to check sources and make sure what you're reading is legitimate. Most researchers view data generation as the main aspect of the job. For the most part, this means finding other literature that supports your research. However, the other important aspect is ensuring you publish and disseminate the information at the right time. So where does social media fit especially when there are risks in communicating your research while it’s still going on? After all, it can reduce your chances of getting published while also providing ammunition against you should you make a mistake. And with social, there’s also the possibility your account might get hacked, especially if your internet connection isn’t secure, though luckily there are ways to protect yourself. So what are the benefits? Consider this example. Marianne Hatzopoulou, a civil engineer professor, wanted to research the impact of air pollution on cyclists. She turned to Twitter and sent out a couple of tweets encouraging people to fill out a survey. A popular cycling blog found the survey and then wrote an article. This then got picked up by a local newspaper, which then led to coverage on a radio show and a major network. 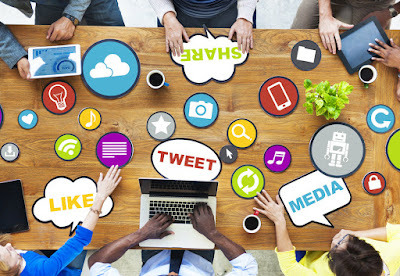 Perhaps the most attractive quality of social media is its ability to disseminate information. Above all, social media is about engagement and communication, making it ideal for researchers to reach a wider audience. Of course, depending on the type of article you produce, you’ll reach a very particular audience. More scholarly and academic articles will likely attract other researchers in your discipline. However, this means you’ll likely alienate the layperson as they won’t want to wade through pages of information. Since social media is such an effective tool in attracting attention, it might backfire. Always double check before publishing anything on social media to ensure the post doesn’t come off as offensive or in poor taste. Always read a post multiple times before hitting the send or publish button. One poorly worded tweet can reach thousands of people and ultimately lower your credibility not only among your followers but the scientific community as well. While there are obvious benefits to using social media, it still doesn’t replace face-to-face interactions. If used improperly, it may end up hurting your reputation and research more than it helps. At the end of the day, it all depends on how you approach it and how you engage with your community. provided informative are nice to read which shows the great articles to gain a new special ideas for gets an improvement on business. Hey glad to read your blog and good information you have shared. Keep updating the blog.